McCue Dental Health’s experienced staff provides their patients with the latest dental treatment techniques in a clean, comfortable, and compassionate environment from their Wauwatosa clinic. LimeGlow Design was selected to design the clinic’s logo and website. In addition, LimeGlow provided the Milwaukee area photograph featured on the website’s home page. 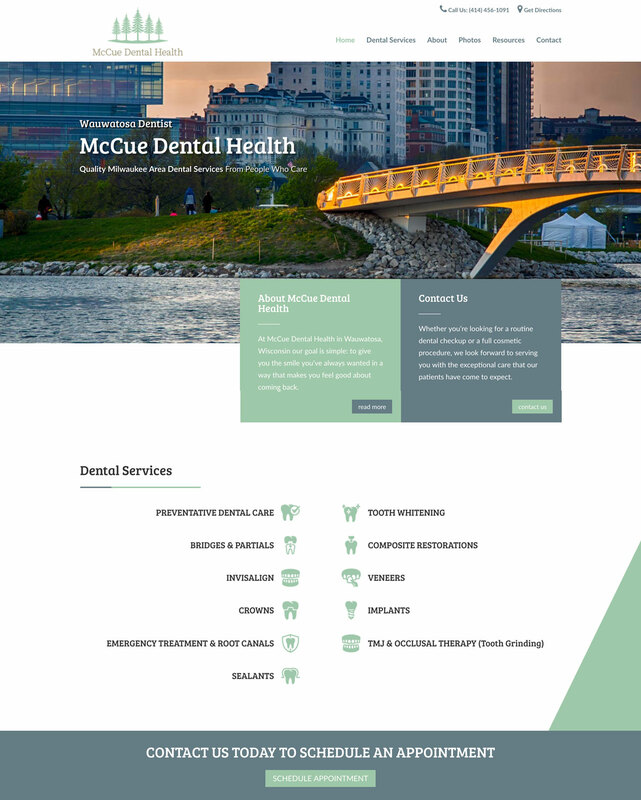 New website design for McCue Dental Health of Wauwatosa, Wisconsin. 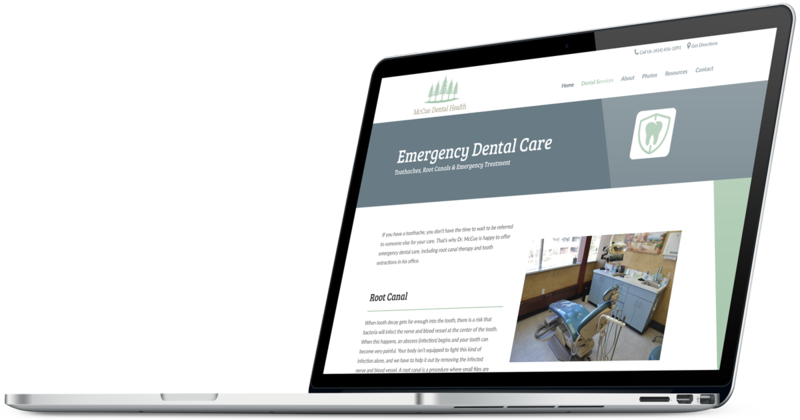 During the project, LimeGlow created an improved user experience for the website, including more intuitive navigation, with easy access to patient resources and online bill payment. In addition, the site features a before/after photo gallery and clear calls to action site-wide. To learn more about McCue Dental Health of Wauwatosa, visit their website www.wauwatosadentists.com. 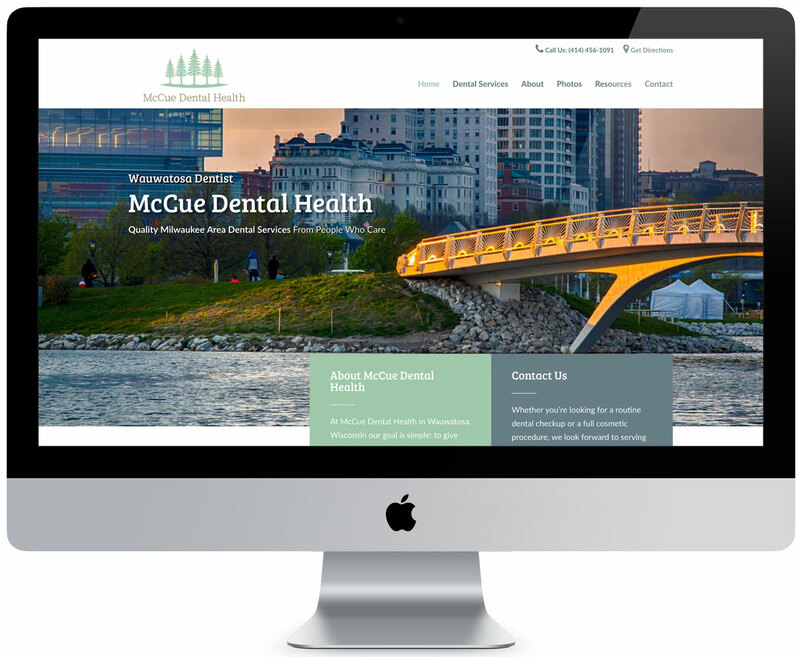 During the website development project, LimeGlow Design created a new, custom logo design for McCue Dental Health.